Home › What is Asthma? Asthma is a debilitating, chronic lung disease that affects tens of millions of Americans. It is characterized by inflammation of the airways, which causes wheezing during breaths. Additional signs of asthma include coughing, shortness of breath, and chest tightness. People with asthma have especially sensitive airways and are more sensitive to airborne substances. Contrary to some thought, asthma is not a temporary condition. It is a disease that is present even in the absence of physical symptoms. Asthma is not the same thing as severe allergies, though both issues do involve some particles that are generally classified as allergens. For more information on allergies, see our article entitled What are Allergies? Asthma causes the swelling of tubes in the lungs, which is what causes breathing difficulties. Muscle surrounds these tubes, called bronchioles; for asthma sufferers, these muscles tighten around the bronchioles in response to an irritant. Those with asthma are oversensitive to airborne pollutants and allergens, such as pollen, pet dander, dust, and mold spores. It is not clear as to why exactly this overreaction occurs. Allergens and asthma often occur together, which is why some people confuse the two or don’t understand the difference between them. Most people who have asthma experience at least some sort of allergy problems, since both issues stem from a physiological oversensitivity or overreaction to certain substances. Many of the signs of asthma are similar to those of severe allergies, including chest tightness and difficulty breathing. There are actually two questions here: what causes the development of asthma, and what causes asthma symptoms? The scientific community has a much better understanding of the latter; much is known about the triggers of asthma and what causes asthma symptoms, but we are not entirely sure of the causes of asthma with respect to why it develops and why it occurs in only some individuals who live within the same environment. However, many studies have shown correlations between how and where a person is raised and the likelihood to experience asthma. The two most significant factors appear to be the physical environment (namely air quality) and genetics. Asthma is not contagious, and, although asthma itself is not infallibly hereditary, the chances of developing asthma are highly correlated with family history, especially one’s parents. It can develop at any age but is more common during the younger years. One generally cannot “outgrow” the disease, though symptoms may ease in magnitude over time with proper medical care. Signs of asthma tend to appear after the first few years of life. Risk factors for developing asthma include early exposure to irritants, such as smoke; living in an area with poor air quality is a general concern for asthma. Children are more likely to develop asthma if they have allergies and/or if their parents have asthma. Young males are slightly more likely to develop asthma than females, and African-Americans are more likely to develop asthma in general. Curiously, children born via C-Section are more likely to experience asthma. In adulthood, females become more likely to get asthma than males. The environment plays a significant role in asthma at any point in life; city pollution, high humidity, ozone, pesticide fumes, cold air, and cooking fumes can all contribute to experiencing symptoms. Body weight and stress level also play a huge part in one’s vulnerability. Genetics have enormous influence on asthma development. One’s propensity to get asthma at any point in life depends on a combination of genetics and the aforementioned factors. Though most people agree that genetics are the biggest determinant of asthma, the rate of asthma sufferers is rising, and this may be due to the increasing amount of everyday pollutants around us. An asthma attack is a sudden and severe spasm of the muscles that surround the airways; this is in response to an asthma trigger, which can be a great number of things. The most common asthma triggers include tree and plant pollen, pet dander, mold spores, dust mites, and dust (which can contain a number of crushed particles, including skin cells, cockroach exoskeleton flakes, insect excrement, and hair particles). Food allergies and certain chemical additives can also trigger severe reactions. Those with asthma are far more sensitive to particles and chemicals overall. Allergies can trigger or worsen asthma symptoms. Asthma cannot be cured, and to use “treated” may be somewhat of a misnomer. Rather, we seek to control asthma symptoms. Daily, long-term medications are the basic strategy in controlling symptoms. These can be in the form of pills or inhalers and vary based on the frequency, magnitude, and type of your symptoms. There are also short-term, rapid-action medications that are used during asthma attacks or before physical activity, depending on a doctor’s recommendation. These are usually in the form of an inhaler. The following graphic details some different types of medicines and their prevalence. When people experience signs of asthma, one of the first things they do is search for natural ways to treat asthma. Some people do argue that there are natural treatments for asthma, such as certain herbs or dietary supplements. Needless to say, these claims are unreliable and there is no evidence that they can be sufficiently effective. Since stress can be a trigger of asthma, some have suggested yoga or acupuncture as a remedy. While these may be beneficial, there is no evidence that these activities actually assuage asthma symptoms. Anything claimed to be a “natural remedy” to asthma is unlikely to yield any positive results – it could even be dangerous. The first and best way to seek help is to consult your doctor. helpful, but there is no way to thoroughly rid your home of pollutants. People spend the vast majority of the day indoors, and indoor air quality is far worse than that of outside. Most people don’t realize how much pollution, dust, and fumes they are inhaling every time they take a breath; for those with severe asthma or allergies, this is a big problem. A good air purifier may help with asthma attacks, since many will remove over 99% of airborne particles that pass through it, as small as 0.3 microns (a micron is a thousandth of a millimeter). This machines use a HEPA filter, or High –Energy Particulate Air filter. If smoke or other fumes are triggers of asthma for you, there are machines that contain both a HEPA filter and an Activated Carbon filter, which is specially designed for the smaller molecules present in these irritants. 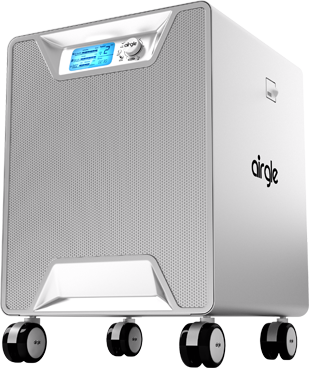 Those with severe asthma or allergy problems will want to consider a unit with a high Clean Air Delivery Rate (CADR) - the capacity with which a machine will process and return filtered air. The goal is to remove potential triggers from the air you breathe to the greatest extent possible. For air purifiers for asthma sufferers, see our Allergy/Asthma page. Similarly to people with other sensitivities, like MCS (Multiple Chemical Sensitivity), finding an appropriate air purifier can be a helpful supplement to other ways of controlling asthma. First and foremost, consult your doctor about what’s right for you.